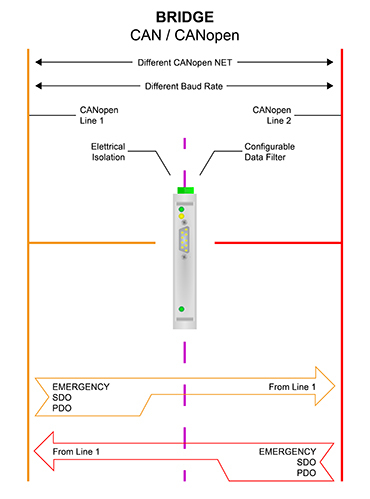 This serie of products allows to integrate a CANopen network with another CANopen net. This type of converters are employed in a particular way in the industrial automation. 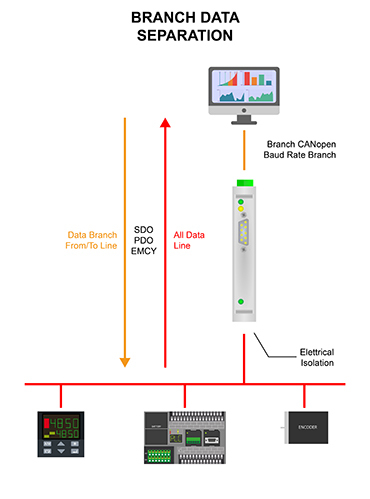 The CANopen protocol has also the function of PDO and SDO for the management of data and services, EMCY for the management of alarms. This device also performs the function of filtering a frame between two CANopen bus.